Although there’s no doubt about the risks they muss take every day, the Filipino children at least have tubes to help them cross the river. These Vietnamese children have nothing but themselves. 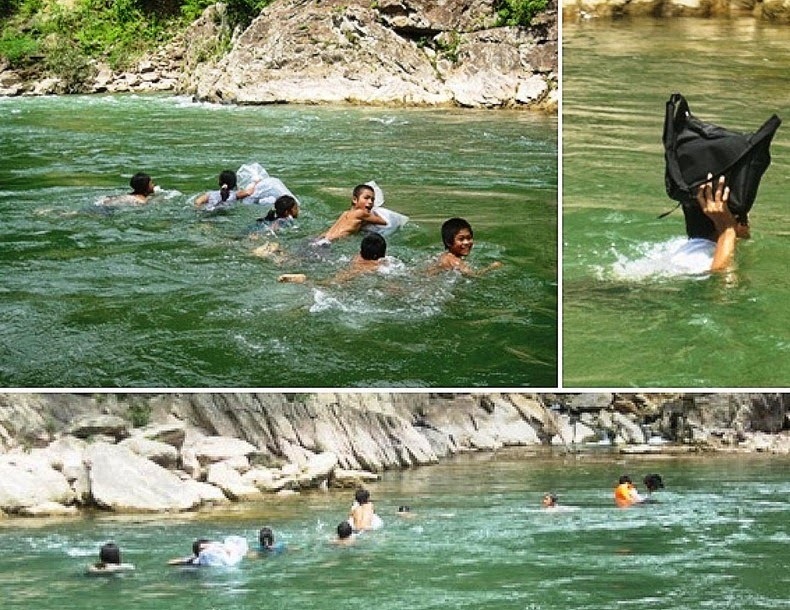 Dozens of children as young as grade 1 to grade 5 must swim across the river twice daily to reach school at Trong Hoa commune, Minh Hoa district. So that their clothes and books will not get wet, the children place them in large plastic bags and which are sealed shut while they swim across the river nearly naked. These plastic bags also come in handy to keep them afloat while they are crossing the river. Once they reach the other side of the river, they children take their clothing out of the bags and put it on. The river is 15 meters wide and 20 meters deep. In China once again. 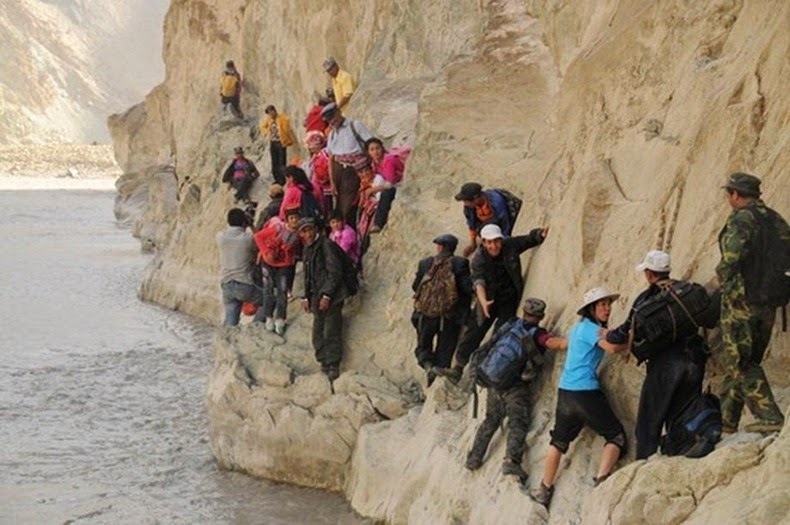 There 80 school children who live in boarding school at Pili, and at the end of each term, they must make an extremely dangerous 2 day, 125 mile journey through the mountains of the remote Xinjiang Uighur Autonomous Region to reach home. And their trials don’t end there. 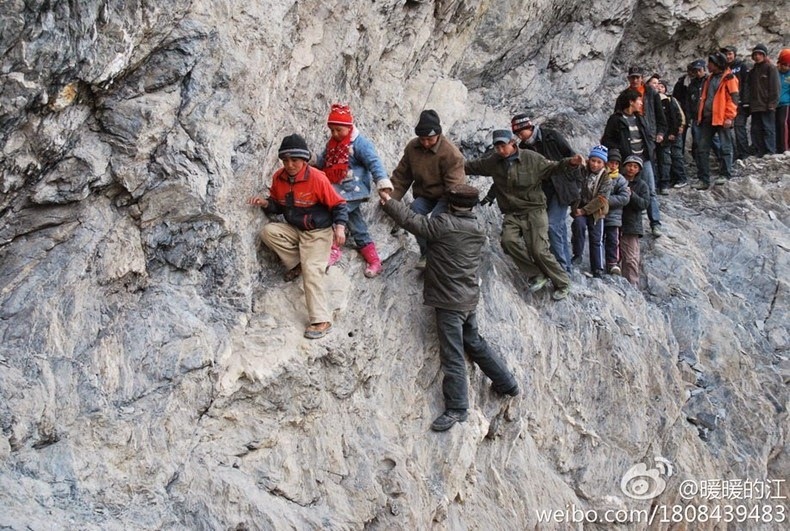 They must also wade through four icy rivers, cross a 650 foot chain bridge and four single-plank bridges.